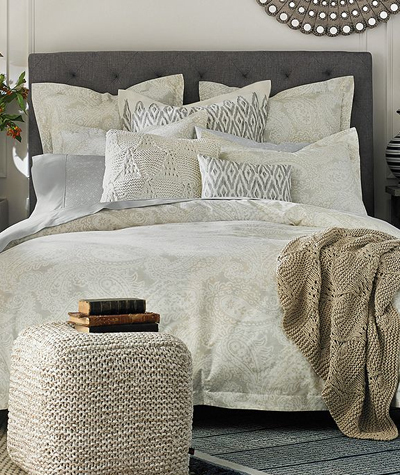 Tommy Hilfiger’s Mission Paisley Collection features delicate, wheat & white tones accented with paisley & abstract designs that calmly update the look of your bed. $68-$300. Buy here.